Maintaining cleanliness is the most important aspect at preventing ill health. We all subscribe to this point of view but have differing notions about how to achieve the desired objective. Overwhelmingly, our habits are formed around what appeals to us or find convincing enough to be adopted. I have collated a few myths that stand in the way of achieving complete health, subconsciously creeping into our homes and making us ill. A conscious effort at following the correct ways can lead us to the path of good health. Myth 1: After washing with soap and water, my hands are clean. Experiments have shown that unless the washing action lasts for at least 20 to 25 seconds, hands may not have been completely washed off all germs. The other factors that do determine the quality of wash are the nature of water used whether it is soft or there is some hardness in it. More the hardness of water, the less is the frothing action of the soap and lower is the quality of wash. If washing lasts lesser than 15 seconds, neither all germs nor all soap may have been washed off hands. A good and a thorough hand wash lasts approximately 20 to 25 seconds. Prefer a liquid soap over the cake since the chances of hard soap particles remaining stuck to the hands, between fingers and under the nails after washing with a ‘cake of soap’ are high. Generally, most of us buy entire week’s requirement of raw vegetables in bulk. Out of old habits and paucity of time available, we tend to put the veggies directly into the refrigerator without washing or cleaning them before admitting them into the refrigerator. This way, germs worms or even insects may find their way to your refrigerator putting other stored items at risk of contamination or catching germs. 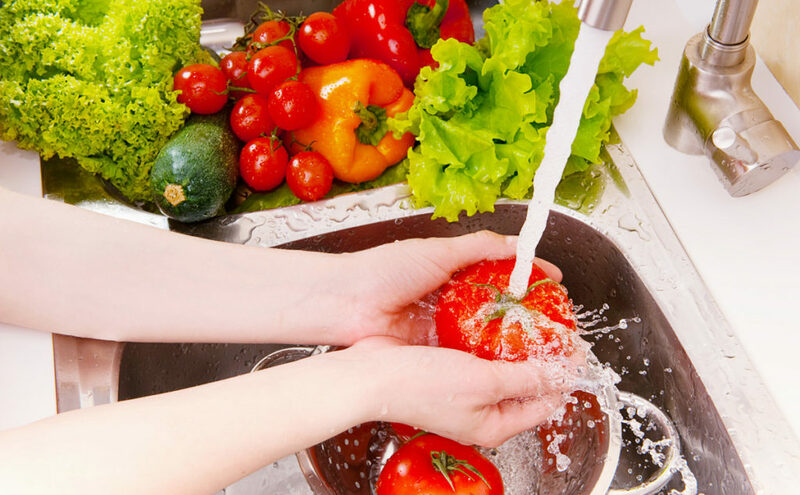 It will be a better idea to first wash them under flowing water to remove germs, visible and soluble impurities as soon as they are fetched from the market. Step 2 requires you to fill the kitchen sink with water after putting the stopper on and adding two spoons of table salt to the water. Let the veggies remain submerged in standing water for about 15 minutes before taking them out. Let the water drain before sealing them neatly in food grade plastic bags and stacking them in refrigerator for later use during the week. Myth 3: I get enough exercise while on job. I even climb stairs often. Most of us believe ‘My job makes me run around the entire workplace and I catch up with all the day’s exercise on the job’. The truth is that although calories are burnt in the process but the mind remains in a stressful condition and this is why it may not yield any healthy benefits. 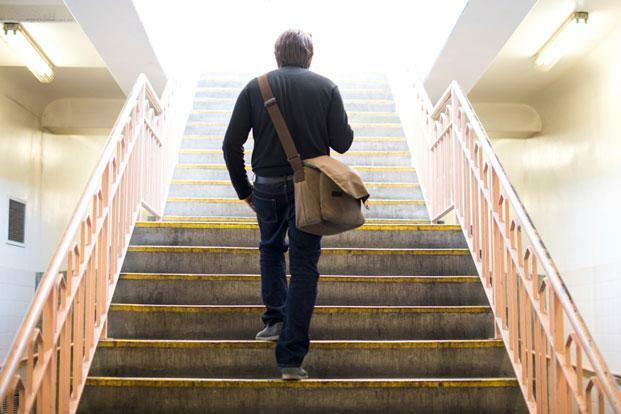 Running up a whole lot of steps while on the job, contrary to popular belief, works counterproductive to the idea of a healthy workout. This may give you cramps and pain instead, proving to be bad for knee joints due to wrong climbing posture or unsuitable office footgear. Moreover, drastic and sudden movements bring more pain than relief. On the contrary, if your job is a sedentary one, then you should take time off to give rest to your mind, eyes, hands, fingers, neck, lower back by taking a few quick exercise breaks including a short walk to fetch a glass of water or coffee all by yourself. Stretching exercises for a few minutes after every hour of work will prove a lot more beneficial. 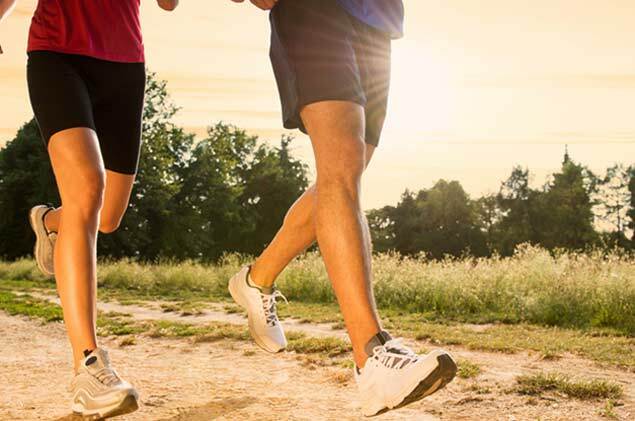 Myth 4: A 20-minute leisure walk is sufficient to stay healthy. Doctors recommend brisk walking at 8 to 10 Km/h for about 30 minutes per day or approximately 150 minutes per week in the morning. Devoting undivided time, without attending to anything else gives you huge benefit as compared to hours of on-the-job, so to say, running around would while carrying all the stress in your head. The prerequisite for a healthy work out is that one should be free of any stress and in a state of complete calm. Particular attention should be paid to breathing while exercising which can only happen when one concentrates on the exercise in a stress-free environment. A continuous elevated heart beat of about 150 beats per minute for about 20 minutes is what doctors recommend for best results. A 10-minute warming-up and cooling-down time will also do a lot of good thus taking the total exercising time to about 40 minutes. Eye opening, hugely informative… very useful not just for me but for my family… kudos… keep writing such articles.